As you walk in from a long day of shopping on the streets of bustling London the glass door is swiftly opened as the doorman greets you personally with a smile, “Welcome back Mrs. Paterson. Did you have a nice day?” You step into the elegant lobby feeling like you’ve walked into a friend’s home as smiles and “good afternoon” greetings surround you. Before you even reach the lift, the button is pushed and you simply glide in as it whisks you away up to your floor. You breath a sigh of relief and happiness as you step into your beautifully decorated room and smile because you feel like you’ve arrived home. Kicking off your shoes you nestle your tired feet into the coziest slippers you’ve ever felt and giggle as you walk across the room because you feel like you’re walking on pillows. Allowing yourself to succumb to the luxurious surroundings you throw your tired body on the bed, kick up your feet and gaze out the window at the peaceful view of Hyde Park. First you daydream then quickly find yourself dozing off sinking deeper into the fluffy pillows beneath you. You’re pretty sure this is your own personal idea of heaven. 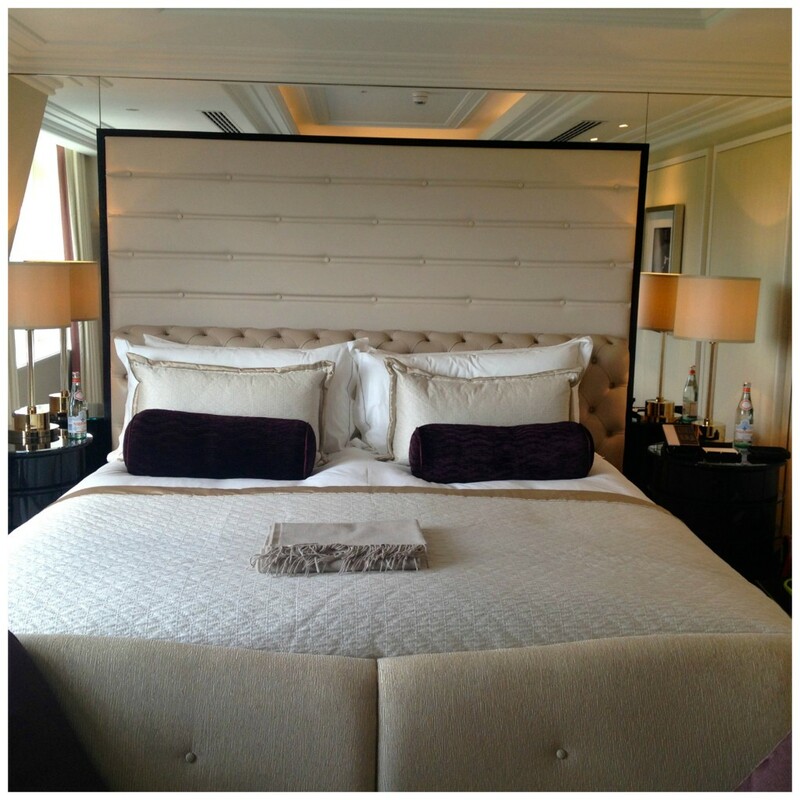 Well, it’s actually the luxury experience of staying at The Wellesley London. What is it that makes this property so special? The Wellesley is a boutique, luxury hotel that oozes elegance and sophistication while also maintaining the utmost level of comfort for guests. While the hotel hasn’t even celebrated its first birthday you don’t experience any of those pesky new hotel teething issues and the outstanding service makes you think this property has been open for years. Since it is quite a young hotel everything throughout is shiny and new. No expense seemed to be spared in the rooms themselves and around the hotel. Everything from the décor to the room furnishings are of the highest quality. A friend with fabulous taste recommended The Wellesley to me so I knew we were in for a treat. Thank you again Miss Kitty-Cat! 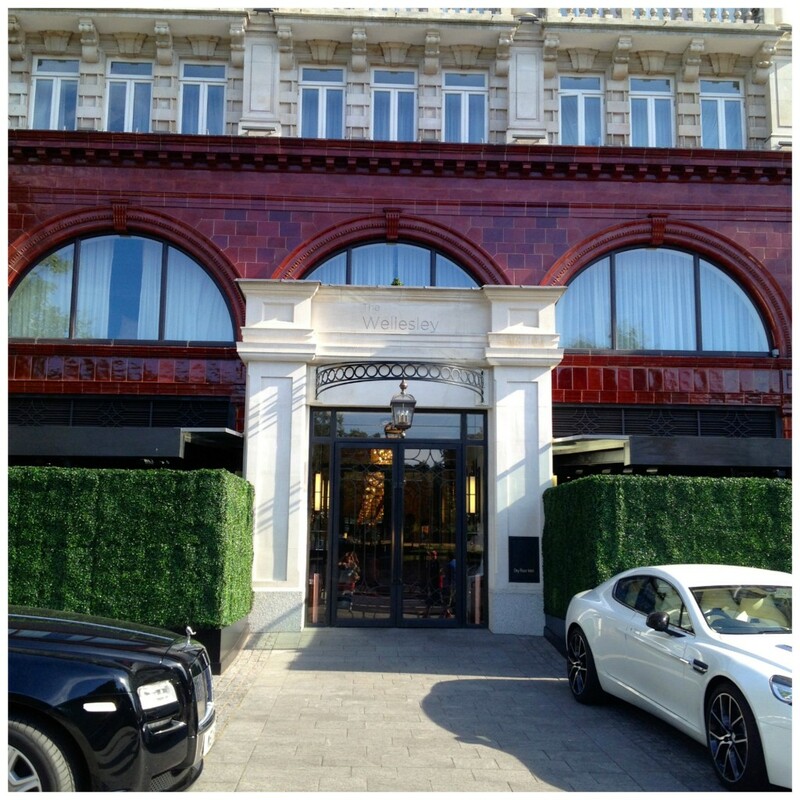 The Wellesley is in a great location situated in the very nice Knightsbridge area of London across from Hyde Park. It’s a perfect escape from the busier parts of the city. High-end boutiques and the infamous Harrods are just a few minutes away along with a plethora of cafes and restaurants. You’re even a quick walk to Buckingham Palace so you can rub elbows with the Queen herself. 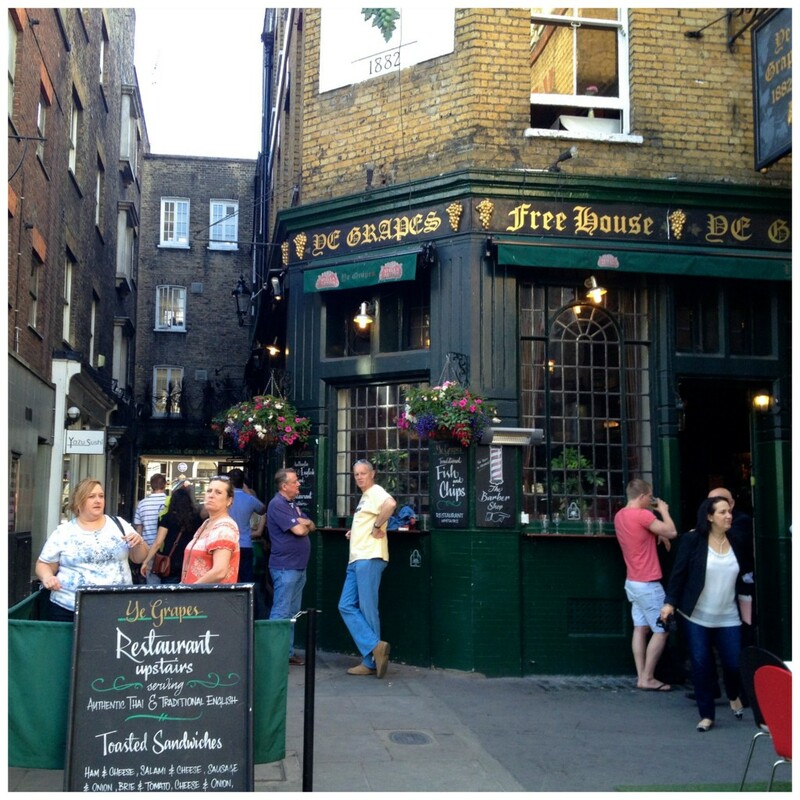 We discovered Shepherd Street walking distance from the hotel with a few good breakfast spots and pubs. The small area just screamed quintessential London to this American gal. 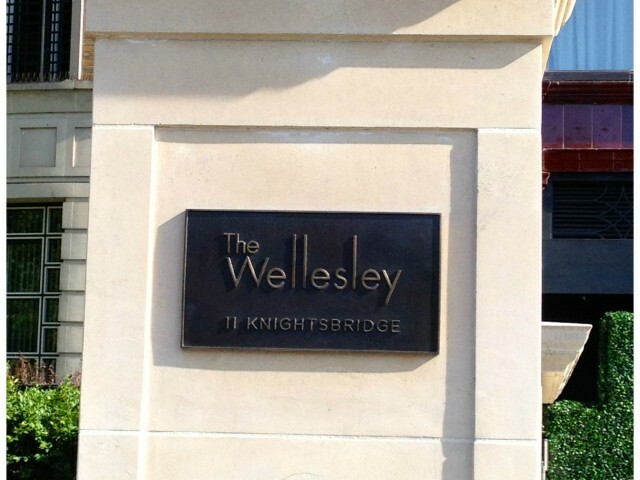 With only seven deluxe rooms and twenty-nine suites The Wellesley is truly a boutique hotel, which I loved. I’ll take a boutique property any day over a huge hotel brand. The level of personal attention you receive fits well with the boutique theme. The staff truly seems to care. We looked to our concierge for dinner recommendations a couple of nights and these were some of the best dining experiences we had during our entire time in London. My husband realized he needed a last-minute hem on some pants one evening. Within minutes our personal butler was knocking at our door happy to help. We had a small issue with our card key reader but it was resolved quickly while we enjoyed some nice beverages on the house in the lounge area downstairs. On another occasion I had two dresses pressed. The butler was back with the pressed dresses within minutes. I kept looking around for the magic wand she must have waved to get it done so quickly. Needless to say I was truly impressed by the service. Downstairs by reception and the lobby you’ll find a nice indoor and outdoor bar area where you can also enjoy coffee, tea and nibbles. 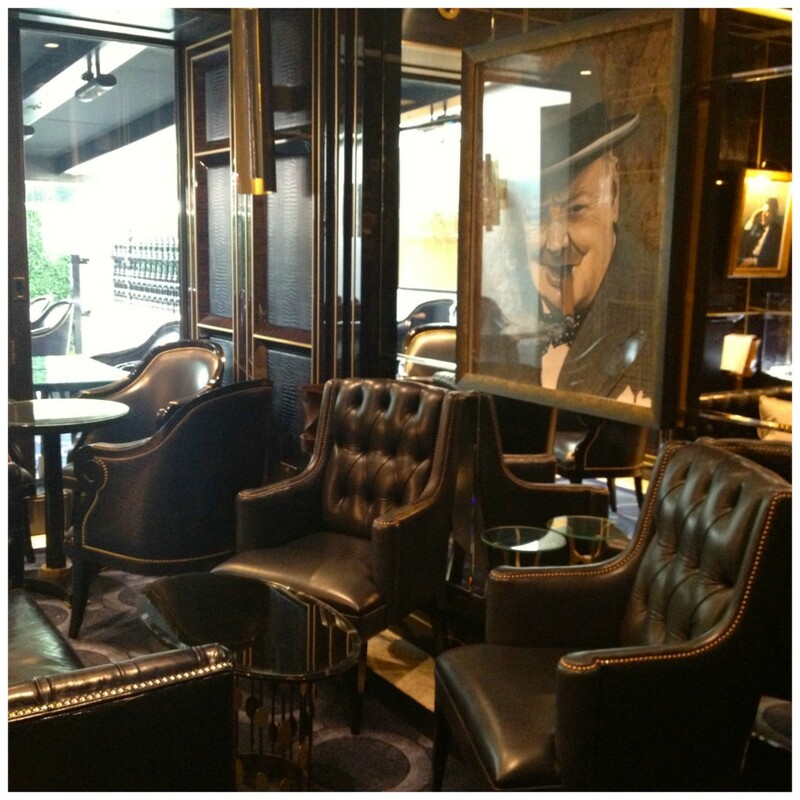 If you’re a cigar fan like my husband you’ll be pretty excited about the sleek and sophisticated cigar bar. It seemed to be a popular spot at night even for those who weren’t staying at the hotel. If you choose to dine at the hotel they have The Oval Restaurant serving fine Italian cuisine, where you can also enjoy a lovely breakfast. 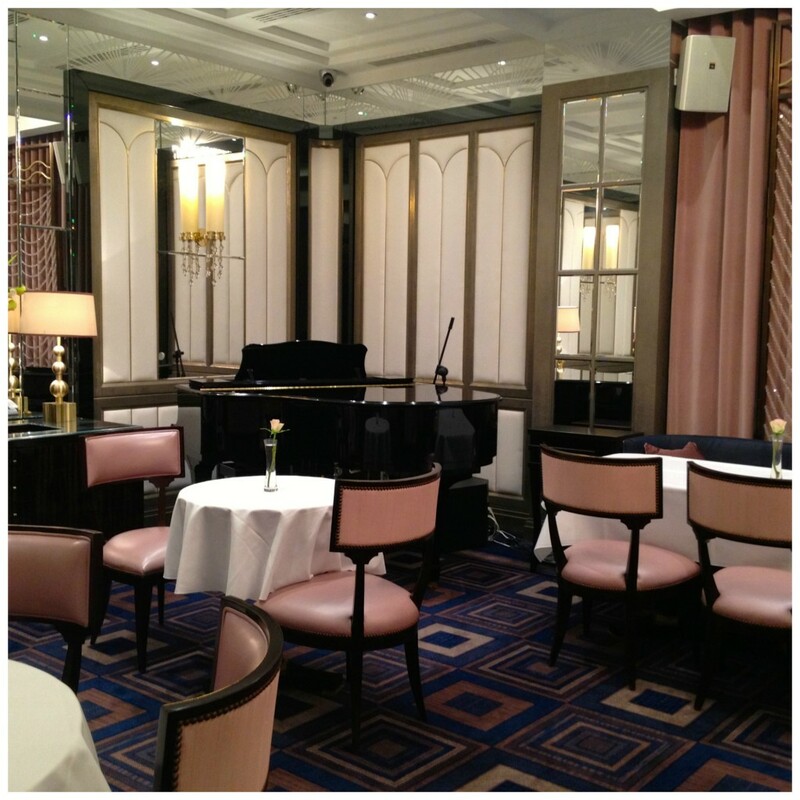 One part of the restaurant transforms into an intimate jazz piano lounge on Thursday, Friday and Saturday evenings. If you’re a fitness fanatic who must get their workout in during your travels you won’t find a gym here but you do have the park right across the street. You do so much walking around London that you get your fair share of exercise as it is. 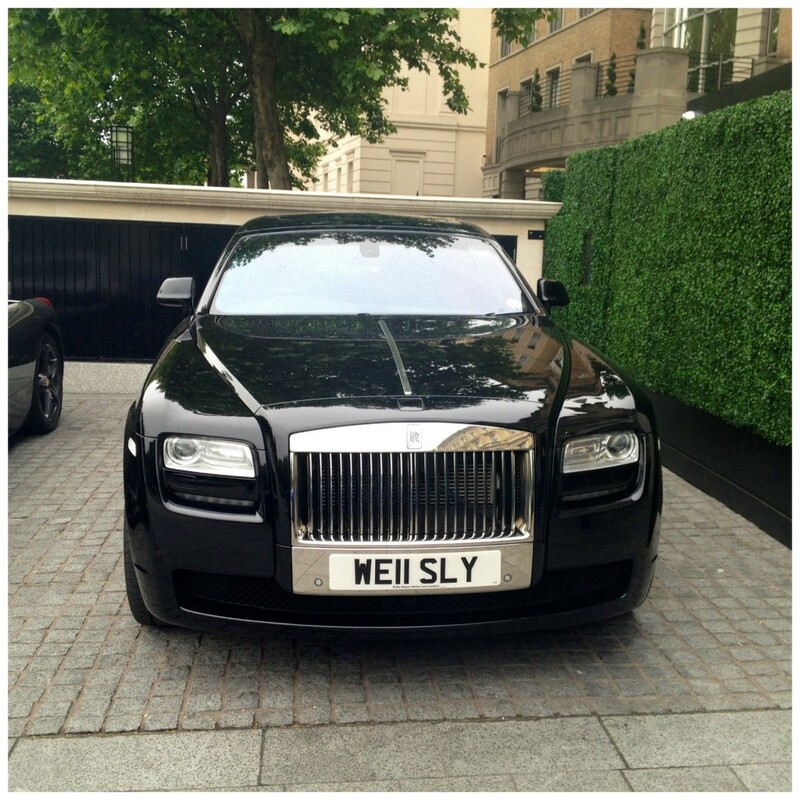 To top it off The Wellesley has some wonderful perks for its guests including a complimentary Rolls-Royce with a driver ready to take you where you need to go. If you didn’t already feel spoiled with luxury at this hotel the minute you sit down in this baby, trust me you will. I had a fleeting vision of imitating the Queen’s dainty hand wave out the window as we were driven to dinner one evening in this beauty. My husband I have been fortunate to stay at a handful of nice properties during our travels, which I’m grateful for and I have to say The Wellesley is at the top of my list for city hotels. 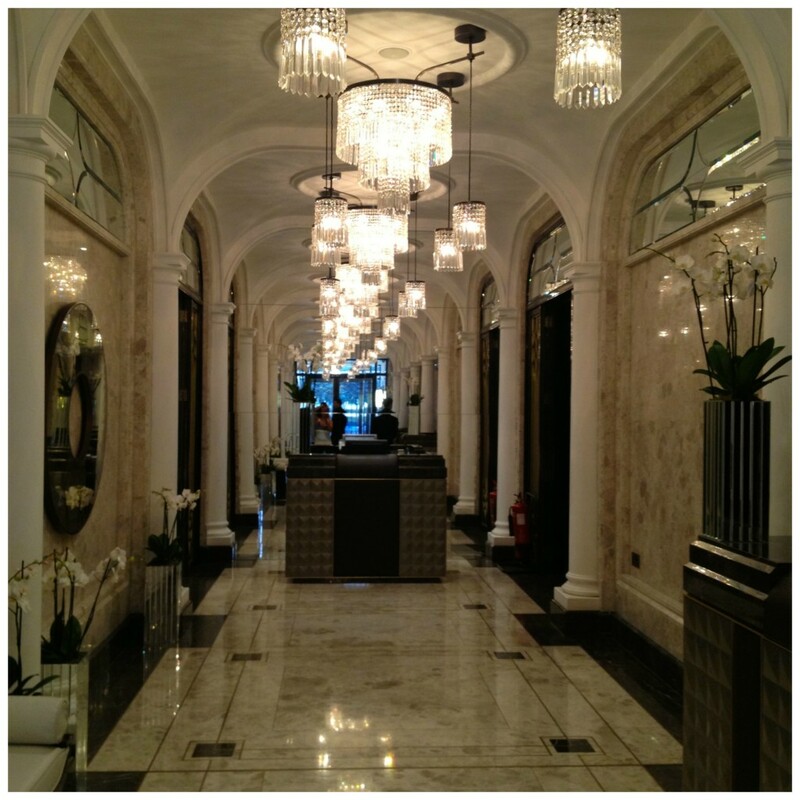 If you’re planning a trip to London, enjoy boutique hotels and are in the mood for a splurge I highly recommend The Wellesley. You too can experience your own personal slice of heaven. I’m quite sure you won’t find anything else like it in all of London.